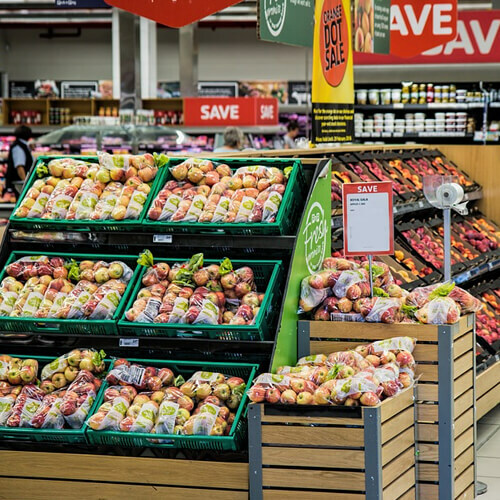 Both the Co-operative and Tesco have announced plans to reduce food waste, signalling that the major retailers focus is moving away from packaging reduction. Supermarket giant Tesco has announced plans to lead the drive to reduce food waste across the globe as one of three ‘big’ corporate responsibility goals. Whilst the Co-operative has declared it is aiming to stop 34,000 tonnes of rubbish going to landfill by recycling all food store waste from its food shops. Food waste will be sent to anaerobic digesters which will convert the waste into energy. Other dry mixed items, such as empty milk bottles, tins and cans, will be sent for recycling. Cardboard and polythene will continue to be baled and sent for recycling. At Pelican we see this as encouraging news that the approach of the major retailers to carbon reduction is becoming more balanced and packaging’s contribution will now be considered in the context of the entire food production and disposal chain. This change in attitude was recognised recently with the launch of The Courtauld Commitment 3, which has a large focus on food waste. The agreement, that runs until 2015, aims to further reduce the weight and carbon impact of household food waste, grocery product and packaging waste, both in the home and the UK grocery sector. The recognition that packaging is part of the solution to food waste is a major step forward in the debate about packaging waste.